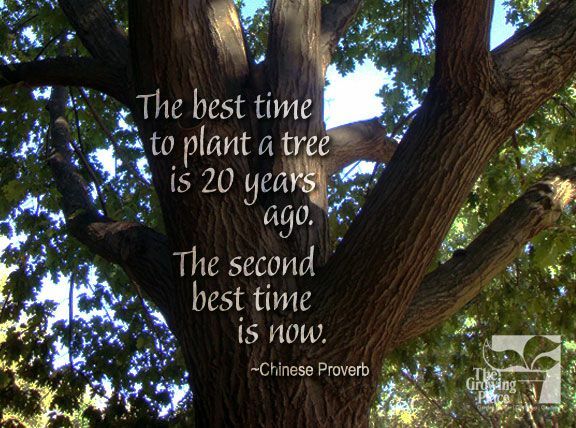 Friday, April 28th is National Arbor Day, so plant a tree or plant a forest! • Avoid septic systems, power lines, driveways, or streets. Keep trees a safe distance from your house. • Select an area on the north or west side of your house for a winter wind barrier or on the south and west side for cooling shade in summer. • Use plants that are suitable for local conditions. • Plant various sized trees or sequence the plantings over a few years. Plant the trees you want to be larger first. • Plant a variety of trees in irregular spacing (a minimum of 8’ spacing) to imitate the look of a natural woodland area. • Amend the entire forest area by adding crushed leaves or leaf mulch, TGP Garden Compost Mix, and Bio-tone to aerate and enrich the soil. • Mulch the entire area. Grass should not be grown in the ‘forested’ area. Mulch can be shredded wood bark and/or chopped leaves. Natural leaf drop should be allowed to decompose on the ‘forest floor.’ You can also use ‘living mulch’ of low growing native sedges or woodland plants. • Maintain a conscientious watering program for the first two to three years. • Selectively prune branches as needed. The close planting of trees encourages tall, high canopy growth. • Just one tree can absorb 26 pounds of carbon dioxide and airborne pollutants per year and replace it with oxygen. • Trees conserve energy by providing cooling shade. Three properly placed trees can cut your air conditioning bill 10-50%. In summer, indoor temperature can be reduced up to eight degrees. • Trees slow rainfall runoff, preventing soil erosion. • Tree increase the value of your home. • Trees and shrubs produce natural sound barriers. • Forest cover provides habitat for songbirds and other wildlife. • Trees and woodlands are aesthetically pleasing. Whether you are planting a tree or planting a forest, this Arbor Day, we are happy to help you select the right plants for your yard. Stop in for advice and pick up a copy of our “Plant-A-Forest” handout at the Tree & Shrub counter.